Finding a dentist on the weekend or after hours during the weekday may seem virtually impossible. Emergency Dentists USA helps by making it less of a hassle to find a dentist who is available during non-traditional hours. With our emergency dental listings in OKC, you can locate a highly trained emergency dentist to get you on your path to recovery in no time at all. A dental crisis never happens at a time that’s most convenient for you. Instead, you may find yourself with a dental infection over the weekend with no relief in sight. When this occurs, you need to find treatment as soon as possible. Waiting until Monday isn’t an option in the case of a dental emergency. With our help, you can find an emergency dental clinic in OKC quickly and efficiently. I broke a wire on my braces and of course it was later at night when nothing was open, but I was in pain so I knew I needed to get it fixed right away. I found Emergency Dentists USA and was able to find some helpful information on their site on what to do with the broken wire to minimize my pain. Then I called the free service and they found a dentist who was able to get me in the next day! If you are experiencing a dental emergency in the OKC area, it’s good to know what your emergency clinic options are. 24-Hour emergency dentists offer around the clock care no matter the time or day you find yourself experiencing a dental crisis. Most are not open 24 hours a day, but have an on-call service that allows you to call in and speak with a dental professional to find out if you should come in to be seen. If your dental emergency warrants it, they will have you come to the office to get treatment as soon as possible. After-Hours Clinics offer extended hours that your regular dentist does not. Later hours in the evenings of the weekday or often times weekend hours as well. This provides not only available care when you are dealing with an emergency, but also flexibility for those who work during the week. Walk-In Clinics offer you the ability to walk right in and be seen by a dentist without a scheduled appointment. Most operate during normal business hours, but some also offer weekend hours or emergency care options. We’ve come up with a detailed list to help you find those available in OKC who offer emergency treatment and walk-in options. This way, when an emergency arises, you will be well prepared with where to seek treatment. Below is our list of emergency clinics that offer extended hours and some even allow walkins. Description Call to be connected with the perfect dentist for you. 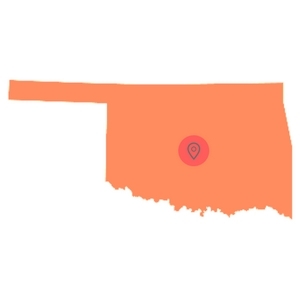 Oklahoma City is a large city and we have the connections to find a dentist to fit your needs, and can get you an appointment immediately. A great place to find emergency dental care with or without insurance. Easily find Oklahoma emergency dentists with our service. Doctors: Michael K. Kirk, D.D.S. Description: Dr. Kirk’s emergency dental care services in Oklahoma City is one of the best. He offers a wide variety of dental care services such as fillings, crowns, bridges, implants, and more. He will be able to help you no matter what time of the day or night, but it’s important to call his urgent dental care office before going. You will find that his team is friendly, helpful, and fast. Description: This clinic sees emergency patients the same day that they call or come in, and they fortunately are open on Saturdays as well. Here you can acquire cleanings and checkups, braces and orthodontics, oral cancer screenings, gum tissue assessment, sealants, fillings, crowns and bridgework, root canals, extractions, and bonding. There are locations all over the city, and they are known for their prompt service and pleasant environment. Description: The Royal Oak Family Dental clinic is an excellent choice for walkin dental service in Oklahoma City because they are open until 7pm Monday through Friday. Description: Orion Dental has great evening dentist hours on weeknights. You can see this urgent care dentist up til 6pm Monday through Friday every week. This gives you a great chance to see the dentist after work! Description: Bright Smile Family Dentistry lists on it’s website that they are a 24 hour dentist. Whenever an emergency arises, call and speak to the emergency dentist on call. Doctors: Farah Masood, D.D.S., M.S. Description: The Oral Surgery Department here can provide emergency extractions and restoration, a welcome service in a city where people tend to be very rushed, and also pressed for time. The fees range from $29 to $300, and appointments are limited. Services such as this are not the exact same as weekend and evening emergency clinics, but are very instrumental in keeping a healthy community and making sure that residents have somewhere to go when unfortunate issues strike them within the dental realm. Preparing for your OKC emergency dental visit is no different than preparing for a new patient visit at your traditional dentist office. You will want to make sure you have gathered up all your important dental or health records that may be of assistance to the new dentist. This should include your current insurance cards and information. Having these items with you ahead of time will help to speed up the process of your emergency visit. If you are able to, try to arrive at your appointment at least 15 minutes early to fill out any necessary paperwork. You will want to have an idea ahead of time on how you will pay for the visit should they not accept your insurance. Similar to all other medical appointments, you will want to make sure you inform the office staff if you have any allergies to medications. If you suffer from anxiety when it comes to going to the dentist, alert them to this as well. May dental problems could occur that will necessitate a trip to an emergency dentist in OKC. When you are experiencing any one of the dental emergencies listed below, you will want to make sure you get in contact with an emergency dentist as soon as possible. A crown can become loose or lost when the tooth below it has begun to decay. The decay of the tooth can cause the crown to not fit as tightly as it once did. If your crown has completely fallen out of your mouth, you will want to make sure you first keep the crown in a cool and safe place. This can help to prevent any additional damage in the event that the dentist can reinsert it. In the meantime, while you wait for your appointment, you can apply some clove oil to help alleviate any tooth pain associated with the missing crown. To seal up the exposed tooth, you can place some dental cement, which you can pick up at your local pharmacy, over the affected region to ensure it is kept sealed up tightly until a dentist can look at it. Broken and loose braces wires can be a literal pain in the mouth. When they break or begin to become loose, they start to stick out of your teeth and end up poking into your cheek, gums, or tongue. This can cause severe pain when it is not fixed quickly enough. You can try placing a pencil eraser on the sharp edge of the wire to prevent any cuts or abrasions until you are able to see an OKC emergency dentist. 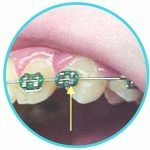 If you are unable to move the wire into a much more comfortable position you can try using orthodontic wax, or a piece of gauze to cover up the end until you get to your appointment. When you chip or break a tooth, it can be very painful and often times quite embarrassing. It’s important to gather up the broken pieces of your tooth and save them. Rinse out your mouth with warm water and be sure to rinse the broken pieces off as well. If you notice that there is some bleeding, you will want to put a piece of gauze onto the region affected to try to stop the bleeding. 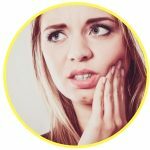 Pain and swelling can be alleviated by placing an ice pack on the outside of your mouth where the broken or chipped tooth is. Accidents happen and sometimes these accidents involve losing a tooth. 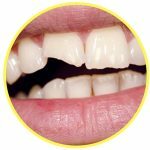 When this occurs, you will want to find the lost tooth and hold it only by the crown, never any other region to prevent additional damage. Rinse it off only if it is dirty. Be sure you don’t scrub it as this can only scratch and cause additional damage to the tooth. If you are able to, try to place the tooth back in your mouth in the location it was, but never try to force it back in place. This can help to keep the tooth moist until you are able to see an emergency dentist for the proper treatment. If you are not able to reinsert the tooth, you will want to place it into a smaller container that is filled with milk or water with a tiny amount of table salt in it. Having something stuck in your teeth can become quite bothersome for sure. First, try to remove the lodged item by using a piece of dental floss. Be sure you use the floss carefully to remove any objects that are stuck. Never use any sharp objects like a needle or pin as these can not only scratch and damage your teeth but also cut your gums. If you are not able to successfully remove the lodged object, be sure you contact an emergency dentist in the OKC area for assistance. When it comes to seeing the dentist, the most concerning or frightening thing for many is the thought of having to have a tooth extraction. It’s important to remember that the goal of most dentists is to preserve your natural tooth first. They don’t want to perform an extraction if it’s unnecessary. Your natural teeth are your best option for chewing, eating, and ensuring your jawbone structure stays intact. The process of a tooth extraction involves removing the tooth from the root in its location currently within your gums and jawbone. Typically this procedure is completed due to severe tooth decay and the inability to save the natural tooth. You will have anesthetic prior to the extraction taking place to help ensure your mouth is numb and you are comfortable during the procedure. 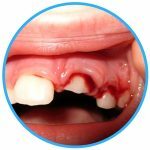 When the procedure is complete, you will have a small piece of gauze where your tooth once was which helps to keep your mouth from bleeding and helps to ensure you develop a blood clot to aid in the healing process. It’s important to follow any and all instructions that your dentist provided you with prior to leaving their facility. This can help to make sure you have the best healing process possible. You can expect to feel better within a few weeks time, but the full healing process can take up to 6 months for the bone in the jaw to restructure fully. During an emergency, it can be rather difficult to determine your best option for treatment. Most people go right to their local hospital’s emergency room as they do not know what other options are available. While an emergency room is better than waiting and postponing treatment, it may not always be the best choice. A dentist is someone who has trained and specialized in the anatomy of the mouth. This means they are better equipped to diagnose and treat any dental emergencies in a timely manner. They also have more tools at their disposal to help with your treatment as well. An emergency room is a great choice for those suffering from a chronic illness or immune system conditions in addition to a dental emergency, because a hospital is better able to jump in and handle the situation, in the event of any complications. So when you are thinking about where to go, consider your personal health issues as well as the potential dental emergency you are experiencing before making your final decision. Emergency Dentists USA has you covered if you are experiencing a dental emergency after hours, on the weekends or even on a holiday! With just one phone call to our free referral service, we can get you an appointment with an emergency dentist right away, 24 hours a day, 7 days a week. Before seeing any new dentist, you will want to make sure you check with your local OKC Dental Association to review and verify all qualifications and certifications ahead of time You’ll want to check the American Dental Society as well. When it comes to the oral health and hygiene of you and your family, a local OKC emergency dentist can help to ensure you receive prompt attention and treatment when experiencing a dental crisis.